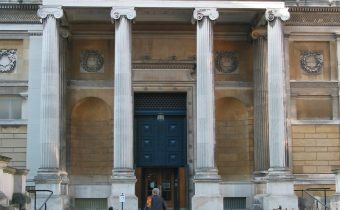 The Ashmolean Museum is the world’s first university museum. Collections include: New Testament biblical manuscript, The Alfred Jewel, drawings by Michelangelo, Raphael and Leonardo da Vinci watercolours, paintings by Turner, Paolo Uccello, Piero do Cosimo, John Constable, Claude Lorraine and Pablo Picasso, Arab ceremonial dress owned by Lawrence of Arabia, a death mask of Oliver Cromwell, the collection of Posie rings that supposedly inspired the One Ring in J. R. R. Tolkien’s The Lord of the Rings, the Parian Marble, the earliest extant example of a Greek chronological table, ceremonial cloak of Chief Powhatan, the lantern that Gunpowder Plot conspiracist Guy Fawkes carried in 1605, a violin made by Antonio Stradivari, the Abingdon Sword (an Anglo-Saxon sword found at Abingdon south of Oxford), antique coins, books, engravings, geological and zoological specimens. 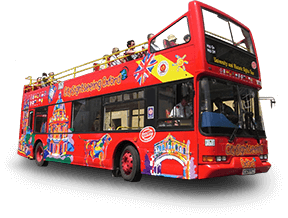 Visit the Ashmolean Museum’s website for more information.